The Galaxy Note II is getting an OTA update. Hooray, right?! Eh, kind of. The update clocks in at 165MB, but it doesn't bump the Android version or even add new features. What you're getting is 165MB of updates to Google and AT&T preloaded apps. The update will be pushed down to everyone automatically over the coming days, but you can check for the OTA manually from the Software Update menu. 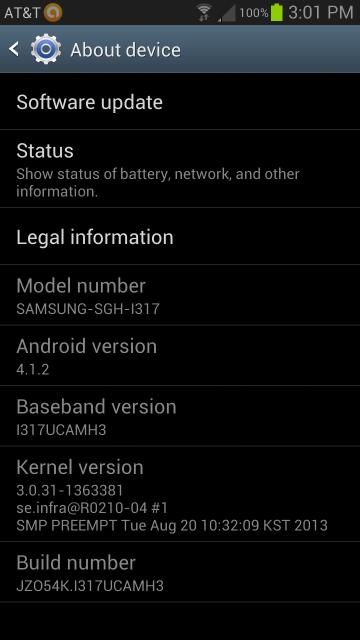 After the update, your About Device screen should still read Android 4.1.2, but baseband will be I317UCAMH3 and the kernel should be 3.0.31-1363381. This update is still a variant of the JZO54K build of Jelly Bean. It's not the most exciting update in the world, but it's all yours. 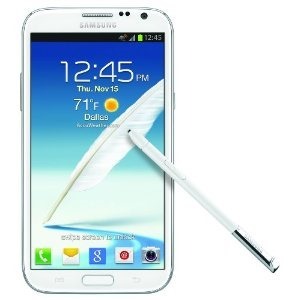 Enjoy, Galaxy Note II owners.